The association between Facebook and actual, physical matter is sometimes difficult to make. Have you ever set foot in a Facebook building, or held something developed by Facebook in your hands? No, you haven't, and you probably never will. To most of us, social media giants are colossal, but spectral, like a ghostly Kaiju looming over the Tokyo skyline, breathing a flaming blue stream of thumbs up symbols. In fact, Facebook have offices and facilities all over the world, and they're making some major inroads in tech development. 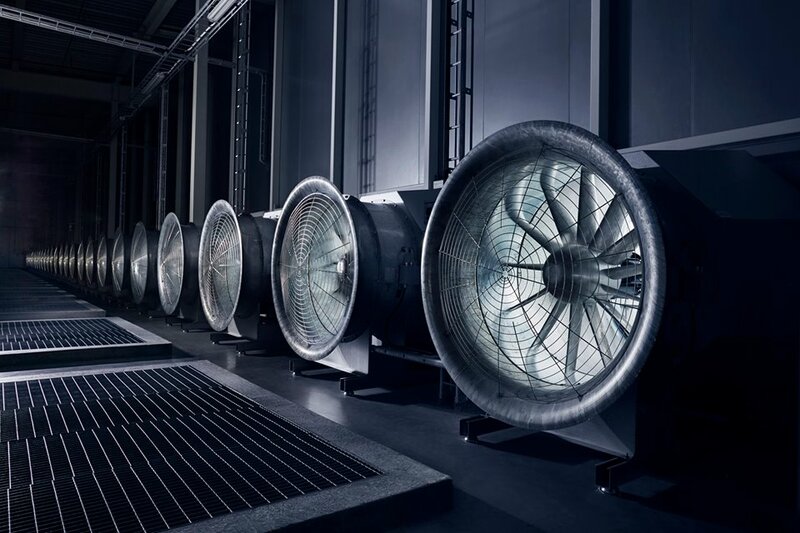 In order to reflect this, Mark Zuckerberg has started sharing images of Facebook's various projects on his personal page, staring with the gigantic data centre they have nestled away in the Swedish coastal city of Luleå. As it turns out, a huge, Facebook-run data centre looks like the set for a dystopic sci-fi film. Long corridors full of monolithic server units, cooling fans, stoic-looking people carrying armfuls of technology that's probably worth more than their houses, the works. The photos have obviously been staged to give off this vibe, but even still, the sterility is striking. The reason Facebook even have such a facility within about 70 miles of the Arctic Circle is, perhaps unsurprisingly, because of the cold. The big fans pull the cold air into the building to keep the server units at an optimal operating temperature, and the coastal location means that the whole place can be powered hydroelectrically, making it far more energy efficient than other, similar data centers. Perhaps the most interesting photo in this share, however, doesn't show the facility at all, but an early conceptual sketch of it, drawn on a napkin by Director of Datacenter Engineering Jay Park. Facebook's offices might be bright, and full of bean bag chairs and VR headsets, but it's in cold, Bauhaus structures like this that the real innovation is being done.